Alright friends from the US of A, it's all up to you guys to save this fledgling of a genius show. The live ratings haven't been too kind on Dollhouse, thankfully, FOX has said that they understand that DVR and online ratings have to be considered as well, which is only fair since they stuck Dollhouse in a terrible Friday time slot. If you're absolutely unable to watch Dollhouse during its run on Fridays at 9/8pm, then watch it on HULU. The recent episodes, particularly "Man on the Street," "Echoes," "Needs," and "A Spy in the House of Love," have been especially wow-worthy. Don't be dismayed by the conservatives, this show is meant to provoke and offend. How can it not when it's about the manipulation and trafficking of human identity? How can it not when it confronts the basic human desires, instincts, and "evils"? Dollhouse is, without a doubt, a controversial show. It's a show that almost always leaves you with a trembling stomach. It's a good feeling. Gives you a split-second glimpse of your own humanity. Right now the decision is still up in the air on whether there will be a second season, that's why fans can't fall asleep! Here's the link for the latest episode trailer. 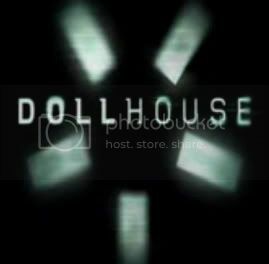 Remember: watch Joss Whedon's Dollhouse on FOX every Fridays at 9/8pm, OR watch it online on Hulu. Unfortunately I haven't had the chance to sneak up "Dollhouse" to my "TV SHOWS THAT I NEED TO WATCH" list. There are loads of TV series that needs promotion for it not to get cut off production. I strongly believe Dollhouse is a worthy show and doesn't need to be axed anytime soon. I think I also feel the same when Bionic Woman got axed after the writer's guild strike. It was a good show, at least for me. LOL. it's confirmed! there will be a second season!!! 13 episodes have been ordered. yahoo!!! I know, I saw it on Eliza Dushku's twitter. SO awesome.